SystemHouse33.com: Dimebag Darrell has been the inspiration behind SystemHouse33 and if it wasn’t for Pantera, heavy metal would never be the same. 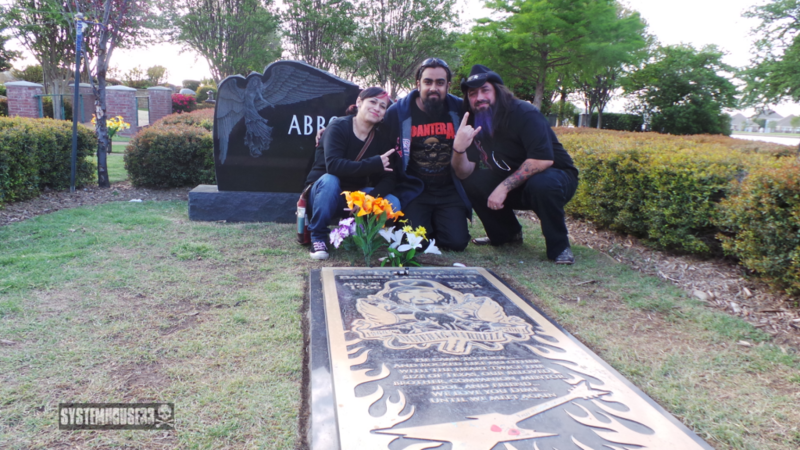 SystemHouse33 vocalist Samron Jude visited the Moore Memorial Gardens Cemetery in Arlington, Texas to pay tribute to the legendary guitarist. He happened to meet Dimebag’s childhood friend Brian and his wife Emma who spoke only good things about the greatest guitarist in the world.